London Fashion Week is here, and to celebrate the outstanding designs, fantastic fabrics and flourishing drawings, Cass Art is hosting some Fashion Illustration events. Art Macabre’s Nikki Shaill found out more about a London Fashion Designer, whose macabre millinery and masks will feature in the Morte Couture drawing salons. Cecilia grew up in Sweden with her head full of wolf worries and wild wood ideas, in the margin of city and countryside. To support her film studies in London she worked as an artist model and both activities fed a growing fascination for masks, nakedness, veils and transparency, and the capacity for storytelling embedded in our bodies. 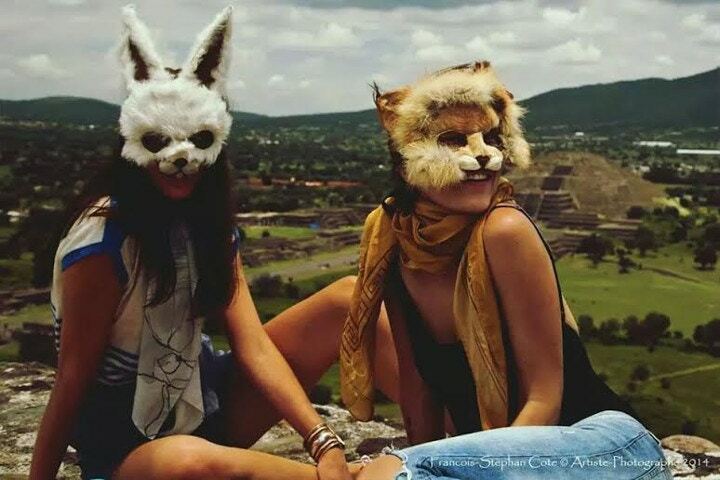 Cecilia started to create animal masks “to wear in Urbia, a reality informed by dream”. Inspired and encouraged by Coco de Mer, she further developed her designs, made by recycled vintage fur over a spider light paper base. Her animal characters are now cult collectibles and Cecilia continues to create new designs for the beast within. NS: So can you tell us a bit about you and your masks? CL: I have always been drawing lots and making stuff. Parallel to this I have been an artist model since I was 16. My masks are actually linked to my life modelling. I started to infuse my poses with theatre, costumes and props, and turned it into a physical story telling performance. My first masks were very crude and DIY, not at all to be sold, and I used them to create these characters I lived out whilst doing my model theatre. NS: If you could be any animal, which animal would you be? Hmm, maybe a lobster. 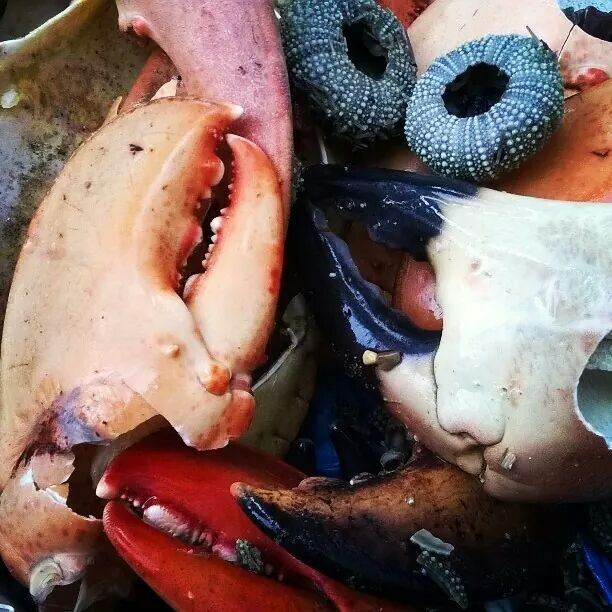 I don't know why but I'm very triggered by crustaceans, sea molluscs, oysters and especially lobsters. I think they are one of the most amazing graphic designs in nature. It is one of the new characters I'm hoping to finish designing this year. NS: I know that as well as creating masks, you also are an artist and model, running your own life drawing events, and other exciting creative projects. How do all these things fit together? CL: My focus with my life drawing events is to explore the way we look and interpret a model in a conceptual setting. I guess you could call it ‘dream drawing’. My events are all about creating a filmic or dreamy atmosphere and the very opposite to the clean, minimal setting I used to model in at St Martin's, the Slade & other institutions. I studied film and I'm interested in how one creates that amazing feel of a Sophia Ford Coppola, a Fellini or Lars von Trier film. I use light and spend a long time creating a soundscape to suit each different set, but I also try to create an olfactory and gustatory element to the sessions. Often my masks become part of the universe I create. I guess everything I do is an invitation to play, to create. I create the set but each drawer will capture their experience differently. I also make the mask but the people who buy them will infuse them with their own particular life and take them on a different journey. NS: How did you get to where you are today? What was your route to becoming an artist? CL: It sounds cliché but you need to first and foremost believe in the validity of what you do, at least if you plan to make a living mainly off of your art. And I think it's useful to build a universe around what you do to interact with a wider audience - whether that's hosting workshops, events or linking up with other artists that you feel suit your universe and do fun collaborations. NS: What and who are your inspirations as an artist? CL: A lot of inspiration comes from spending time in nature. I'm a big fan of industrial landscapes à la Derek Jarman. The typical children's treasures still trigger my imagination; a filigree thin bat skeleton, sea shells, crab shells...great natural designs! 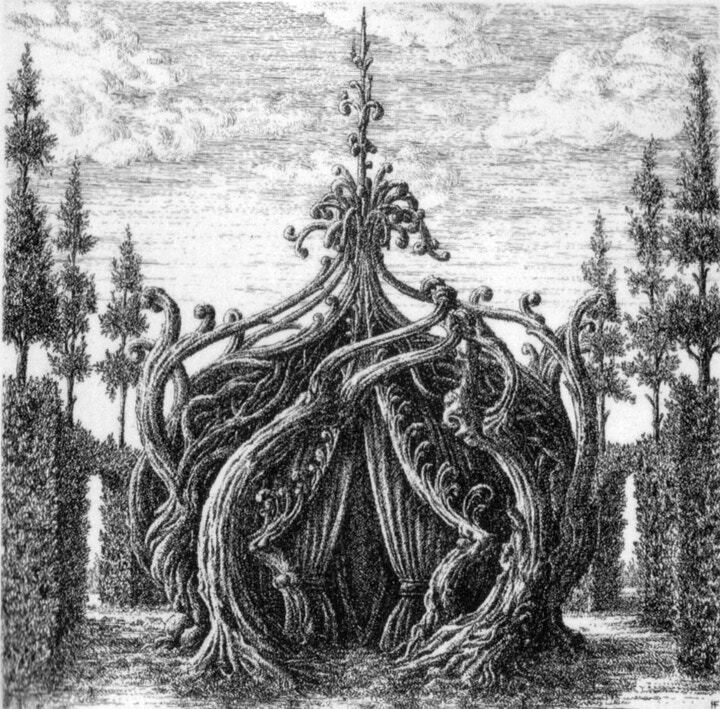 I love the bizarre and surrealist rendered beautifully like the dream gardens in Francois Houtin's etchings or the nightmarish collages Une Semaine de Bonté by Max Ernst. I'm a big fan of sensory artists such as Sissel Toolas who challenges the audience's concept of acceptable and pleasant smells or the exciting "body architect" Lucy McRae. I'm lucky to be living with an amazing artist Ewelina Kolaczek who shares a lot of my fascinations for sensory art, nature and we definitely inspire and nurture each other’s creativity. NS: Who do you imagine wearing your masks? CL: Anyone with a sense for adventure and who enjoys playing around with their identity and stepping out of their everyday experience. NS: Some well known people have already worn your masks. If you could create designs for any one person, dead/alive/fictional or real, who would it be and what would you create for them to wear? CL: Well Grace Jones would be an amazing model, she's so physically expressive! The Swedish Sun King Gustav the third was obsessed with theatre and he was famously shot dead at a masquerade by a man in a black domino mask in the 18th century. I'd make poor Gustav a lion mask. NS: Where do you create your designs and how does this affect your work? Do you listen to music/have any routines to work to? CL: I create in my huge room. Often with paper and glue all spread out on my wooden floor. I always have some posh strong coffee on the go if I have a big order and every so often I take a run or a walk in Hackney Marshes. I have 2 cats and they provide me with lots of little breaks of "procatination". Also, having good things to listen to is very important for me. 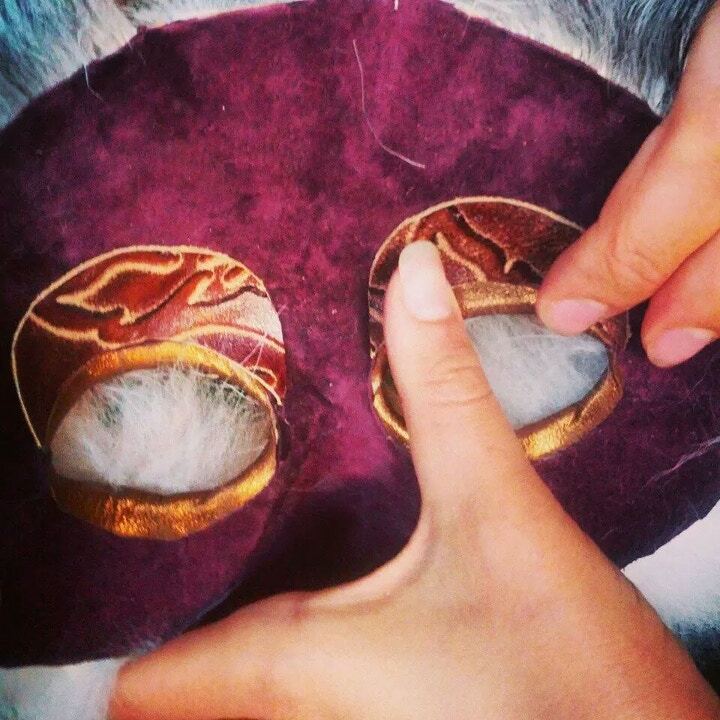 Each mask takes about ten hours to make and I have to concentrate but it helps to have some audio stimulation. I love listening to Swedish radio, their programs are amazingly varied and qualitative. I also consume audio books, interesting pod casts, Ted talks or get friends to compile mask-making play lists for me on Spotify. NS: What's planned for Cecilia Lundqvist masks for Spring Summer 2015? CL: In the summer months I'm busy with orders for festivals - often beautiful woodland characters. For this summer I will reveal a new collection of "Book masks" made out of recycled books with ink illustrations overlayed. Also a few new characters: the flamingo, the romantic predator (a fantasy creature for LA based artist Actually Huizenga) and of course the Lobster! NS: What materials and equipment do you use to create your designs? Any Cass Art supplies you couldn’t live without? CL: I use paper, lots of glue, recycled vintage fur, feathers, nappa leather, needle & thread. I'm absolutely dependent on my party size PVA monster bottle and Copydex glue! 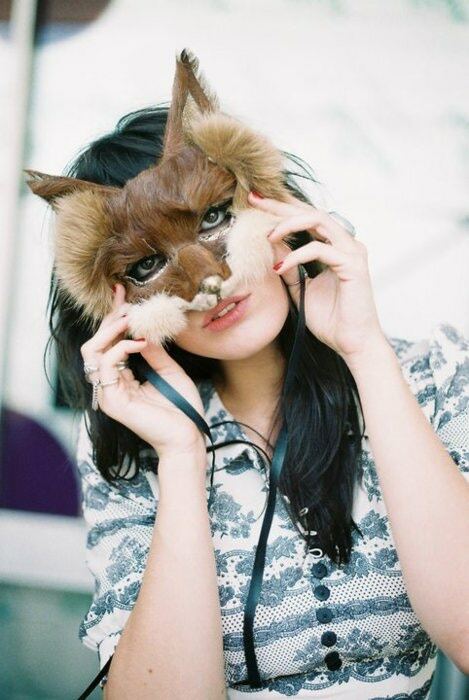 We can’t wait to see more of Cecilia’s masks prowling down the catwalk, ready to be captured in your drawings next week. You can buy the Letraset Promakers here and in all Cass Art shops - they are the must-have fashion illustration pens.